"CCP Orphans" in Kazakhstan: We Want Our Parents Back! You are here: Home / News / “CCP Orphans” in Kazakhstan: We Want Our Parents Back! Kazakh citizens go to China to visit their relatives, planning to come home after a few days. Some never return. Attorney Umarova asks for help via video. 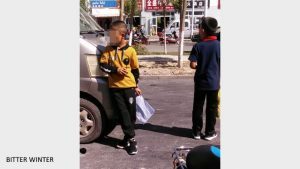 Muslim Ethnic Kazakhs are routinely arrested in Xinjiang as “extremists” in need to spend some time in the “transformation through education” camps. The CCP doesn’t deeply care if some have a double passport, Kazakh and Chinese. But at least Kazakh citizens who visit their relatives in Xinjiang are safe, right? Wrong. If the relatives are “extremists” or, worse still, if the Kazakh citizens have seen something they were not supposed to see, including police brutality, they can be prevented from leaving China. Some ended up in the camps themselves. Others had their passports confiscated, and were told they should stay in China quietly, or else. Some of these Kazakhs left their children in Kazakhstan, believing they will return back home after a few days or weeks. When they do not come back, their children become “CCP orphans.” Aiman Umarova is the most well-known human rights lawyer in Kazakhstan. In 2018, she received in Washington DC from the hands of First Lady Melania Trump one of the U.S. Department of State yearly International Women of Courage awards. She has decided to represent for free the “CCP orphans” and to launch an appeal to women and men of integrity to help her get their parents home. 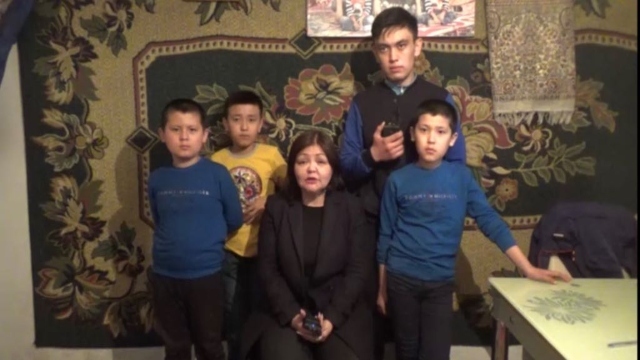 The case of the video refers to four children, whose father (a Chinese citizen who was in Kazakhstan where he and his wife were seeking Kazakh citizenship) went to Xinjiang three years ago and was blocked there, with his passport confiscated. Their mother went to Xinjiang trying to get her husband back one and a half year ago and in turn never came back. Update (April 13, 2019): The relatives hosting the children have also shared a video showing the conditions in which they live.